In the year 2016 alone, one-third of America’s bee population disappeared. 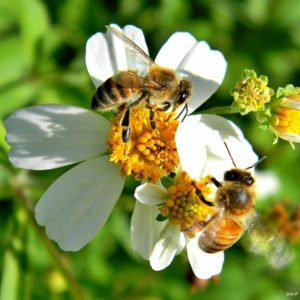 Now, scientists and citizens are doing what they can to stop the bee population from continuing to decline. 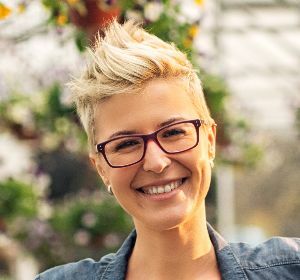 While there are many features to consider when designing a beautiful backyard garden, some might say that one of the most important things is designing a garden that will do the world some good. Creating a garden environment that welcomes bees and gives them a safe place to live can help you do your part in bettering the earth. Having said that, let’s find out what kind of flowers attract bees. This blossom is a perennial herb in balmy climates. While the purple-colored flower is most popular, there are Lavender blooms in a white and pink variety. You will be happy to know that this flower is low-maintenance and can withstand poor soil and aridity. Aside from its signature bright yellow hue, the Blackeyed Susan also come in red, mahogany, and bronze shade. You will likewise find other blossoms with two-tone petals. Considered a perennial, these flowers are effortless to cultivate. Additionally, the Blackeyed Susan flowers adapt well in dry and meager soil conditions. With its numerous color options, the Bee balm should be a flower present in all bee-friendly garden. 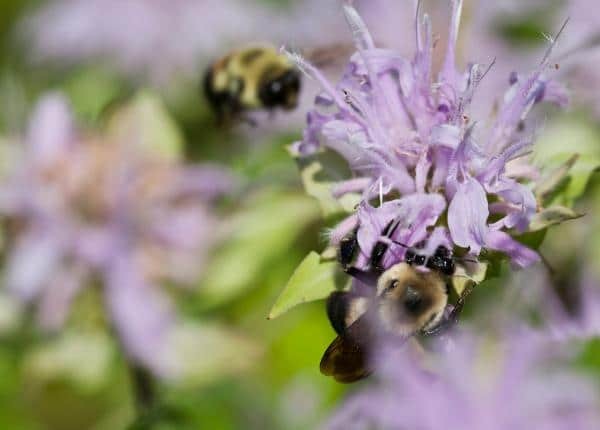 A couple of its species are Lemon bee balm, Scarlet bee balm, and Horsemint. It is available in hues of pink, white, purple, and red. At any rate, there is always a bee balm that will match your garden color concept. Loved among bees, the Common Heliotrope is a blossom with small colorful clumps of purple and blue. Apart from its rich hues, gardeners will appreciate this flower’s vanilla scent. 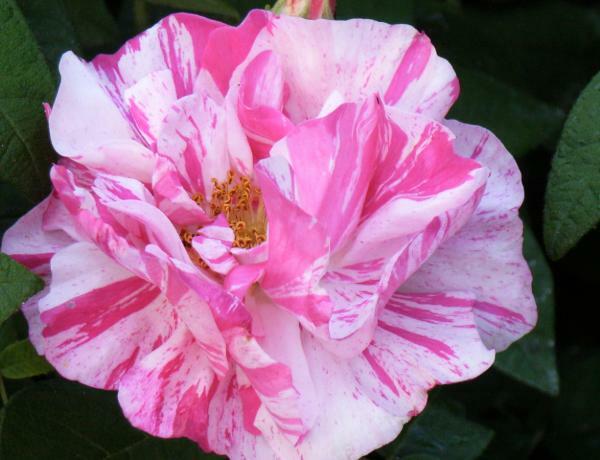 This fragrant bloom requires limited sun and samp soil. Marvelous flowers of pink-purple hues, these blooms are sure to draw pollinator bees to your garden. Since these blossoms are tall plants with fancy flowers, it is best to place it at the back side of your garden to form it as a backdrop for other smaller flowers. 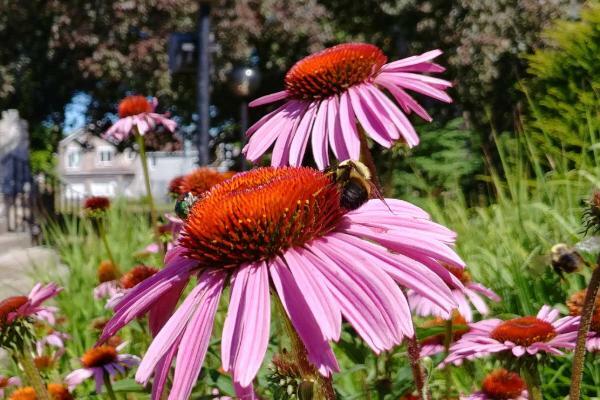 Besides attracting bees, you can also use Purple coneflowers in prepping flu and cold treatments. 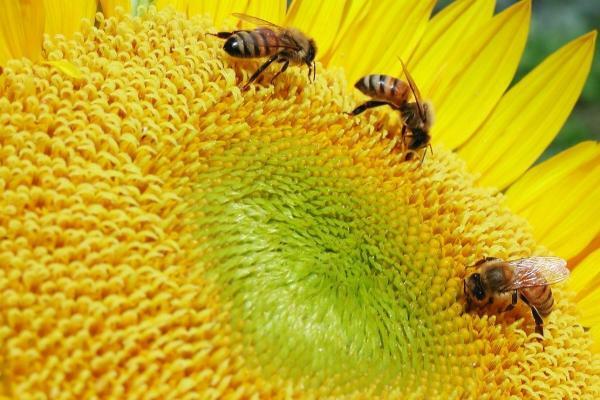 With its huge central discs, Sunflowers offer bees abundant avenue to search for pollen and nectar. The native blooms of this flower can be grown anywhere as long as it is planted during the final frost. Available in rich yellows, purples, and blues, the Crocus flowers not only benefits the bees but also your landscape as well. For this flower, you will need to set the Crocus bulbs four inches deep before fall and see to it to give enough water. Once developed, these flowers offer bees a good deal of nourishment. There are many kinds of roses. In particular, bees are attracted to old-fashioned fragrant, single or semi-double roses with open centers. Keep in mind that not all roses attract bees. For example, bees pollinate sweetbriar and rugosa roses which produce rosehips. Although Butterfly weeds are simple to raise, it takes years for it to develop as flowers. What is good though is that when it blooms, bees swarm this flower the entire day. In the meantime, Salvias are flowers which are simple to grow to start from its seeds. You will find these blooms in colors of red, white, apricot, plus the common blue and pink variety. Similar to the other flowers, Salvias flourish in summer heat and proceed to develop through fall. What is great with the Snowdrops blossom is that it appears without waiting for the snow to thaw. This is a welcoming sight for bees with almost drained reserves. With that said, plant Snowdrops in your garden to make sure to aid bees during the late winter. Meanwhile, Blanket flowers are available in oranges, yellows, burgundy, and rust shades. it also has petals which are bicolor and tricolor. Blanket flowers are sturdy and drought-resistant blooms which you can plant in rock gardens, yet it will stay in great form. 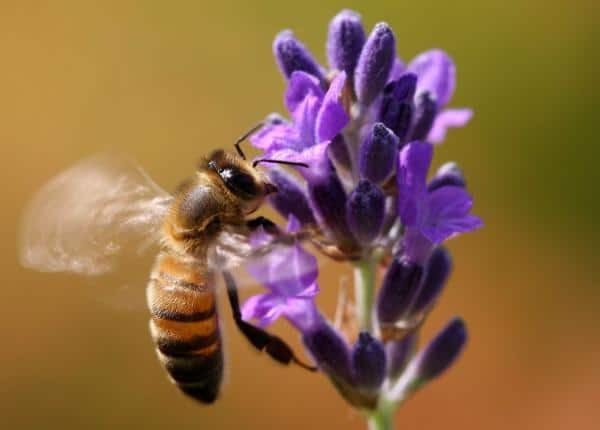 Bees also enjoy some herbs, such as mint, chives, and thyme. 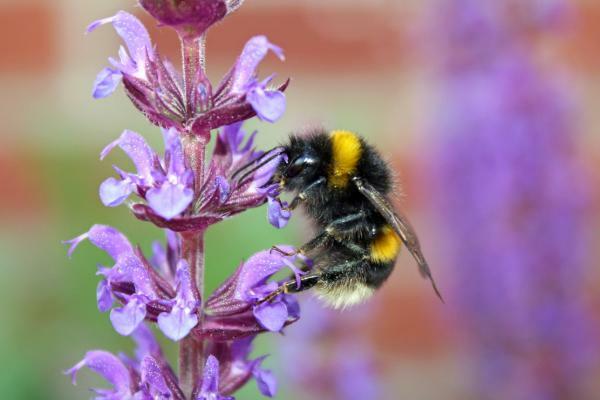 Lastly, it is important to choose bee-friendly plants so stick mostly to plants that are local to your area. Quality Coneflower seeds packaged by Seed Needs. Intended for the current and the following growing season. Packets are 3.25" wide by 4.50" tall and come with a full colored illustration on the front side, as well as detailed sowing instructions on the reverse. Purple Coneflower will attract an array of beneficial insects to the garden, such as butterflies, bumblebees, ladybugs & hummingbirds. These beautiful, heirloom flowers have been used in flower gardens & borders for decades. The plants themselves will grow to a mature height of around 24 to 36 inches tall, producing spiny, cone like centers, surrounded by gorgeous pale purple petals. Quality Rudbeckia seeds packaged by Seed Needs. Packets are 3.25" wide by 4.50" tall and come with a full colored illustration on the front side, as well as detailed sowing instructions on the reverse. The plants grow to a mature height of roughly 12 to 36 inches tall and form clumps of beautiful golden yellow flowers, accented with deep brown centers. The blooms spread open to a diameter of about 2 or 3 inches wide. 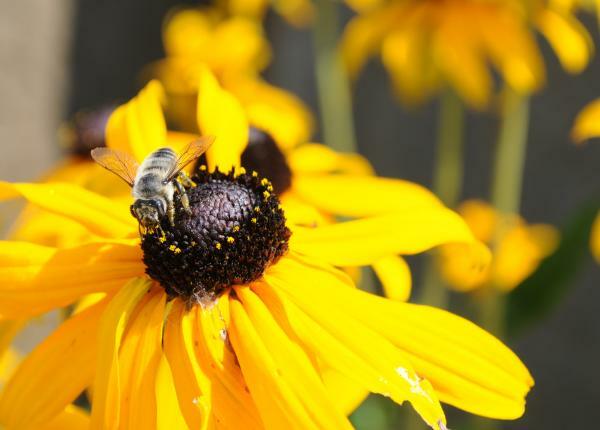 The Black-Eyed Susan is popularly chosen to attract beneficial insects to the garden, such as butterflies, bumblebees, ladybugs and even hummingbirds as well. Quality Bee Balm seeds packaged by Seed Needs. Intended for the current and the following growing season. Packets are 3.25" wide by 4.50" tall and come with a full colored illustration on the front side, as well as detailed sowing instructions on the reverse. Bee Balm is a perennial flower that is grown in the garden from seed and will produce a colorful mixture of blooms in red, white, pink & rose. This variety of Bee Balm will grow to a mature height of about 30 inches tall and is great when used along walkways, as a border plant, or in flower beds. The aromatic blooms of "Panorama Mixture" will attract an array of beneficial insects, such as butterflies, hummingbirds, bumblebees (especially) and lady bugs. On the other hand, if you want to further learn about bees and gardening here are books you can read. 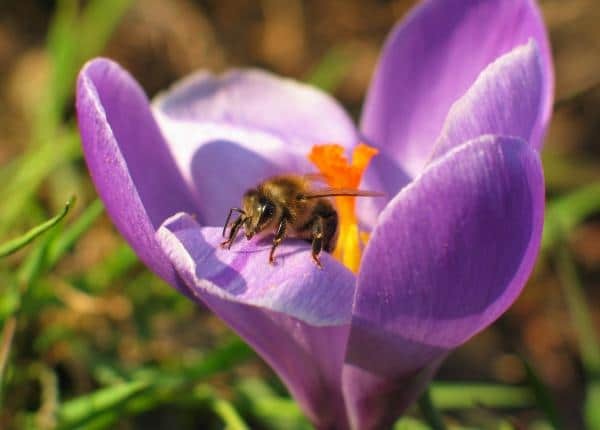 Although it seems that the decline of the bees has slowed slightly in recent years, it is still incredibly important to create welcoming environments for these little pollinators and do our part to keep them alive. 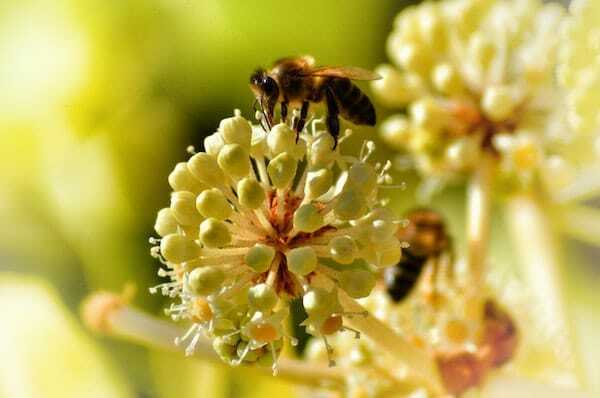 Without bees, many of the fruits and vegetable that make up our diets would no longer exist, and many of the flowers that make spring and summer so beautiful would also disappear. Citrus fruits, broccoli and avocado are just a few that would be lost. This is why it is so crucial to avoid pesticides, herbicides, and unnatural fertilizers in your garden, vary the varieties of plants and try to keep your garden blooming all season long. In addition, put out shallow dishes of water in flowering areas of your garden to help the bees stay hydrated. Without bees, our world would be a very different place, devoid of many things we often take for granted. Keeping your garden bee-friendly can make a huge difference for the bees and put the environment on the right track. Next time you see a bee buzzing around, give it some water and wish it well.